The Stratco OG Gutter is a traditional colonial style gutter with the ‘OG’ standing for ‘Old Gothic’. 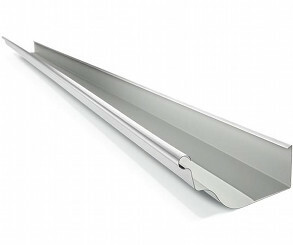 The OG gutter’s style makes it the ideal choice for use on both traditional and modern homes. Due to it’s traditional and attractive styling, this gutter will typically be seen Federation, Victorian and older style buildings. All Type Roofing is able to install the OG style of guttering on any home in wide range of colour options.